The new SunCatcher Elite 326 SE has all of the upscale amenities you expect; ultra-plush contoured furniture that you would be proud to have in your living room, superior Kicker® sound system, woven vinyl decking material that is both elegant and easy maintenance, and industry leading console design and instrumentation. 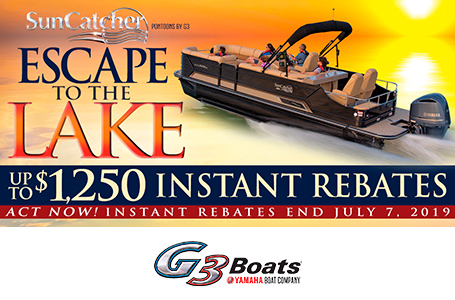 Open up the dependable Yamaha motor to feel the cooling wind, or find a favorite cove for a quiet evening. 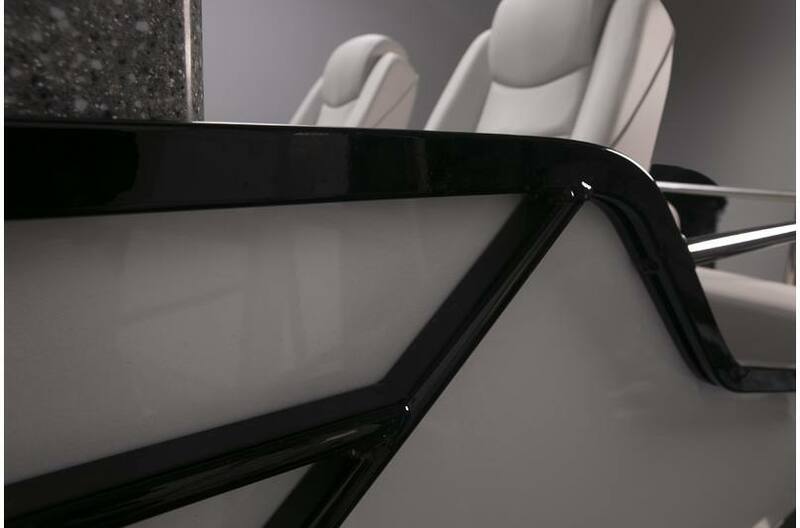 The amenity lighting after dark creates a relaxed mood throughout; including backlit console, floor lighting, cup-holders and speaker lights add to the feeling that you are on your own private island. 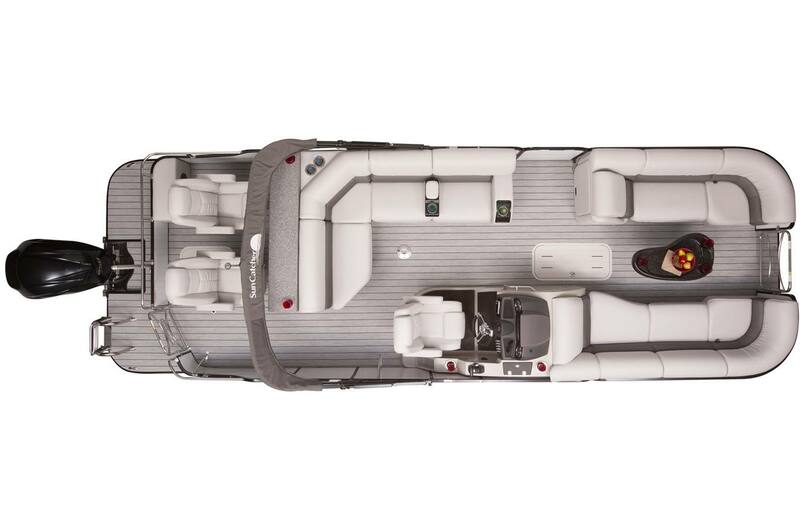 Flip one more switch and a soft glow illuminates the water directly under your Elite 326 SE. 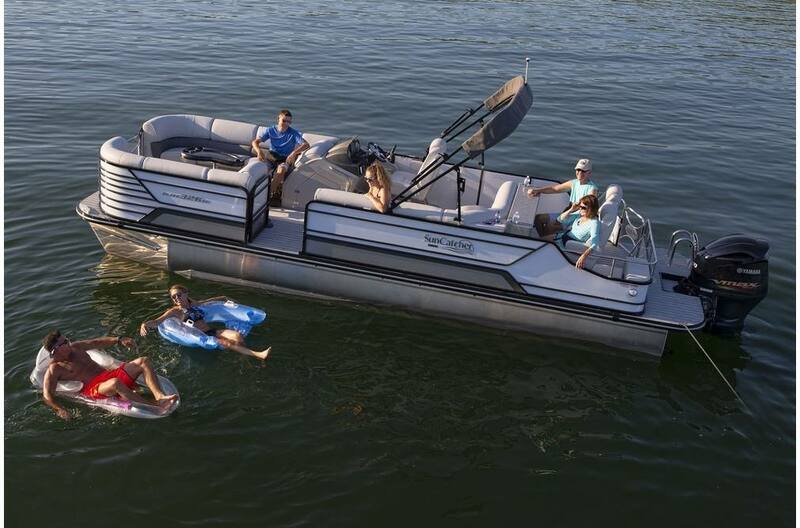 Quality, performance and satisfaction are built into every SunCatcher Pontoon. 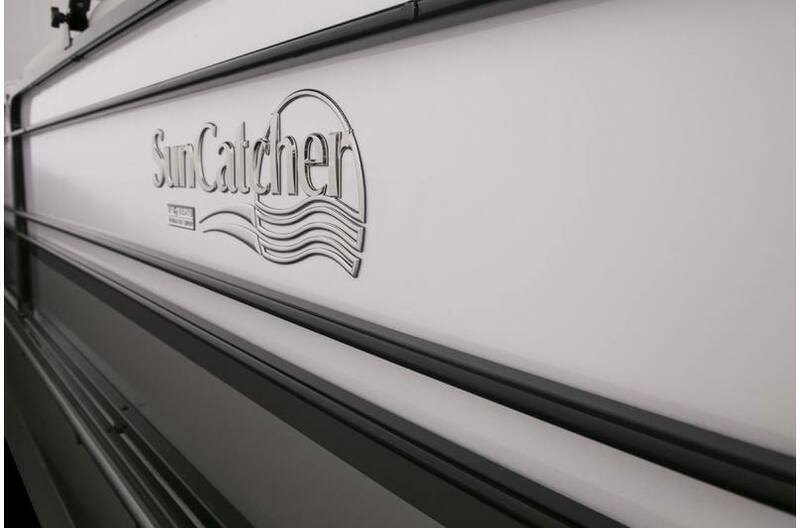 A popular option adds a touch of elegance to the exterior color scheme; ask your dealer to order your SunCatcher Elite with “black painted rails". 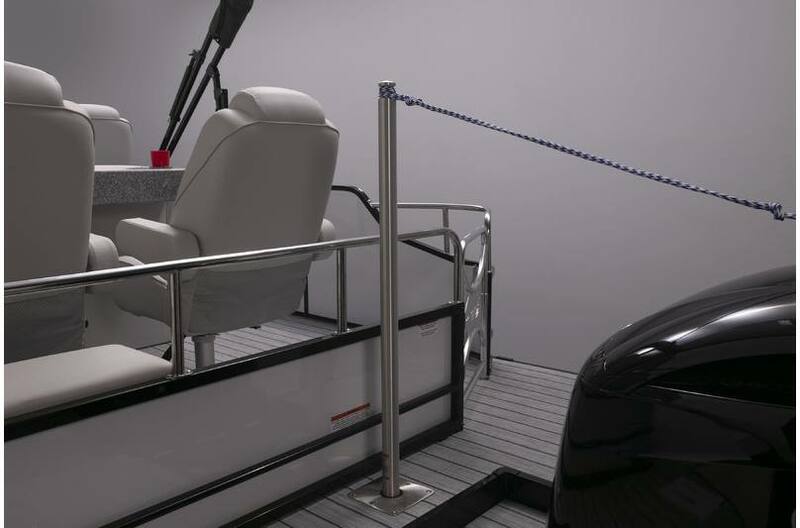 Ski tow is standard equipment on tri-log models. 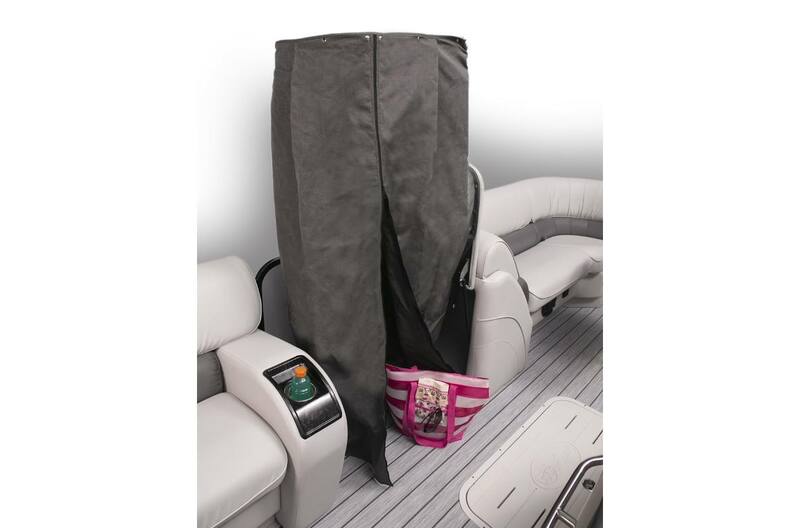 The privacy enclosure is ready to use in seconds and stows away in the couch arm. 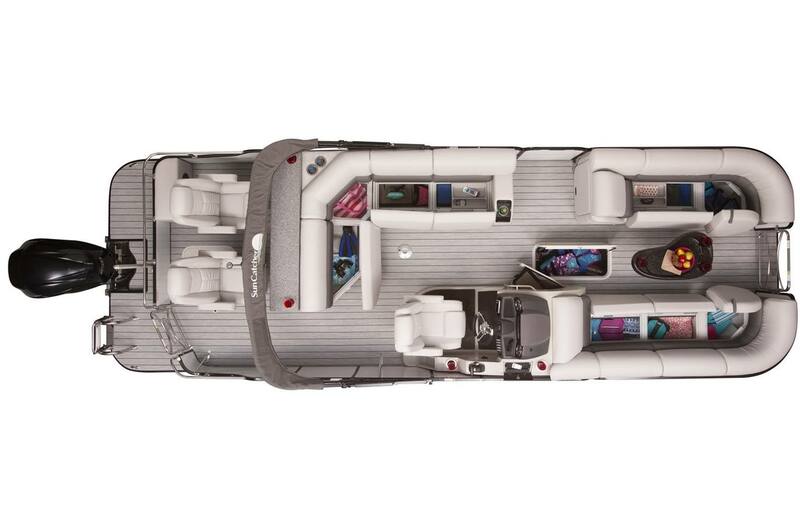 Extra-long contoured couches make this pontoon party friendly. Dry Hull Weight: 3280 lb.